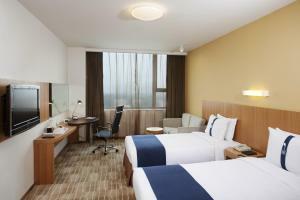 Holiday Inn Express Beijing Minzuyuan is housed in a distinctive glass and stone building, surrounded by bamboo plants and a koi fish pond. A 5-minute walk from Beitucheng Subway Station, it offers free internet and views of Olympic Park and Chinese Ethnic Culture Park. 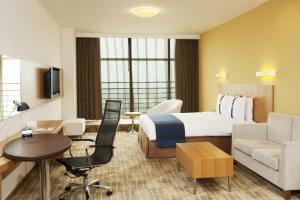 Bright and airy, modern rooms come with a 32-inch flat-screen TV and electronic safe. Private bathrooms are equipped with a hairdryer. 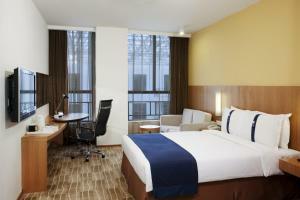 Select rooms offer views of Bird’s Nest and Water Cube. 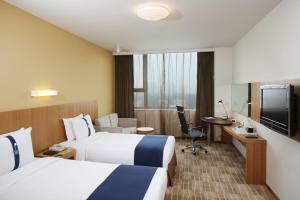 Located along Beijing’s Center Axis, Holiday Inn Express Beijing Minzuyuan is within walking distance of the National Convention Centre and Beijing International Convention Centre. Beijing International Airport is a 25-minute taxi ride away. 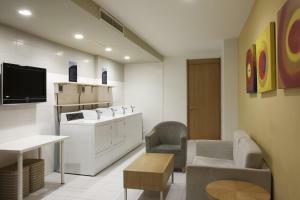 Central yet quiet, the luxurious hotel offers dry cleaning and laundry services, as well as a business centre for guests’ convenience. Chinese and western cuisines are served at The Great Room. After dinner drinks can be enjoyed at the Atrium Lounge. السعر: CNY 446.40 ... CNY 1200.00; select dates below to get current rates.